Home / Health Tips / Why does Science Not Give People A Cure for Cancer? It’s not for Science to find the cure for cancer, if such can be found somewhere else outside the human body, but for people to use Science to do it. If they will do so, then they will soon find that the cure for cancer has already existed. The problem is: those who were tasked and financed to do it had been looking somewhere else. Instead of using their knowledge on genetic engineering for the betterment of mankind by way of longevity technologies, they are concentrating on the autonomous spreading of bad genes, as far and wide as possible. The latest of these destructive pursuits is CRISPR Gene Drive. Consider the successful development of an insecticide resistant mosquitoes released in the different regions of Africa. This was Priore’s laboratory back in the 1960s. The table is actually an animal cage where test subjects are treated by a large electromagnetic coil suspended just above it. When Tesla was murdered in 1943, he had already laid down the foundation of how we should advance into the 21st century and beyond, especially in the field of free energy, antigravity, and electrotherapy. Following this mindset was Antoine Priorê who found a worthy sponsor – the French Government. But like Tesla, Priore’s benefactor withdrew when it was already made clear that his machine does work far more than what was expected. “In the late 1960s and early 1970s, Antoine Priorê and a team of leading French scientists demonstrated conclusive, total remissions of terminal tumors and infectious diseases in hundreds of laboratory animals. 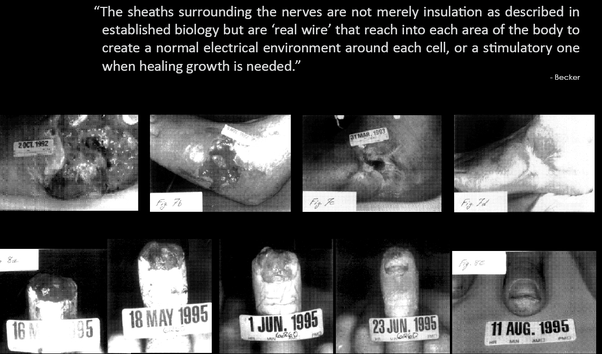 Their research was performed under rigorous scientific protocols and funded by the French Government. The approach employed very complicated mixing of multiple electromagnetic signals [EM wave] in a rotating plasma, and modulating the mixed output upon a very strong rippling magnetic field to which the body of the test animal was exposed. Complete remission of the treated diseases was obtained. Another fascinating proof of the endless capabilities of the human brain is the super sensitive microscope that allows us to peep through the microscopic world of the virus. 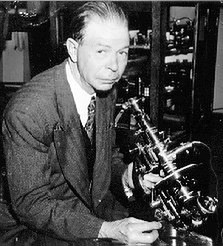 Royal Raymond Rife and his microscope. In 1913, Royal R. Rife was fascinated by bacteriology, microscopes and electronics. For the next seven years (including a mysterious period in the Navy during World War I in which he travelled to Europe to investigate foreign laboratories for the U.S. government), he thought about and experimented in a variety of fields as well as mastered the mechanical skills necessary to build instruments such as the world had never imagined. Bacilli may thus be studied by their light, exactly as astronomers study moons, suns, and stars by the light which comes from them through telescopes. The bacilli studied are living ones, not corpses killed by stains. Throughout most of this period, Rife also had been seeking a way to identify and then destroy the micro-organism which caused cancer. His cancer research began in 1922. Another groundbreaking technology came out through the US Patent 5814094 titled “Iontopheretic System for Healing of Tissues and Regeneration” which was awarded on September 29, 1998 to Dr. Robert O. Becker, who turned away from the biochemical and mechanistic approach to medicine to one that is saner and more natural, i.e. the use of electricity, for stimulating tissue and bone regeneration. Bone and tissue regeneration technology. During his research days in the ‘60s, he was already attempting to regenerate full organs like the heart, liver, spinal cord and brain. Sadly, his research funding was withdrawn for reasons we can only speculate. 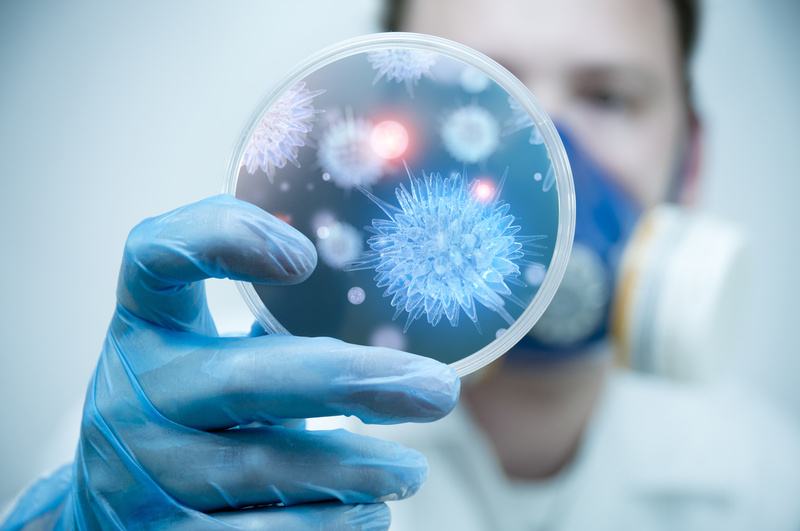 It is important to understand that while these devices and methods could certainly reduce the population of the microorganisms facilitating the growth of cancer, what they do is not exactly curing the body from such diseases. They merely assist the immune system where it failed. As always, it will be the body’s own regenerative mechanisms that will provide the impetus and materials for healing. The full restoration of the autoimmune system by way of arterial blood electrification through a device like Virutron, and cellular regeneration inherent in our body will make it possible the achievement of full remission against any type of cancer. The final question now would be: Why the good technologies are not allowed to see the light of day, while bad technologies are being used without mainstream media noise, and no regulating oversight committees were organized to deal with the problem? Indeed, there’s no drought when it comes to real scientific solutions to cancer, but the medical priesthood will lose its way of life, and the chemical industry needs to say goodbye to high profits if such technologies ever become the new normal. The economic system must be changed to do away with the need for money. Technologies already exist to make it happen. But a select few, who never made any of these discoveries, consider being at the top of the pyramid makes them adorable. While forced competition has led us to what we have today, but cooperation can definitely do better without industrial waste, poverty, disease and war. Next post: Is 5G Harmful to Our Health?